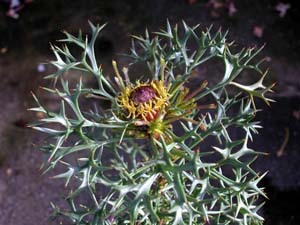 Tasmania has one native species of the large Australian genus, Isopogon. In Tasmania, I. ceratophyllus is only found on Flinders Island. 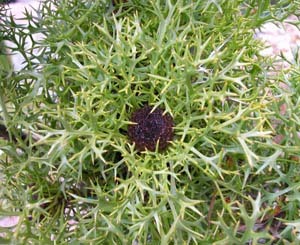 It is a low growing shrub with deeply divided leaves and yellow flowers in cone-like heads.